Poets Corner classic beauty on 1/3 acre level lot bordering creek providing an idyllic private setting surrounded by pastoral beauty! Updated & expanded. Hardwood floors provide warm setting in living & dining rooms and 3 bedrooms. Window seat in dining room. Updated bathrooms. Kitchen features granite, skylight, new fixtures, gas range and spacious walk-in pantry. Inside laundry room. 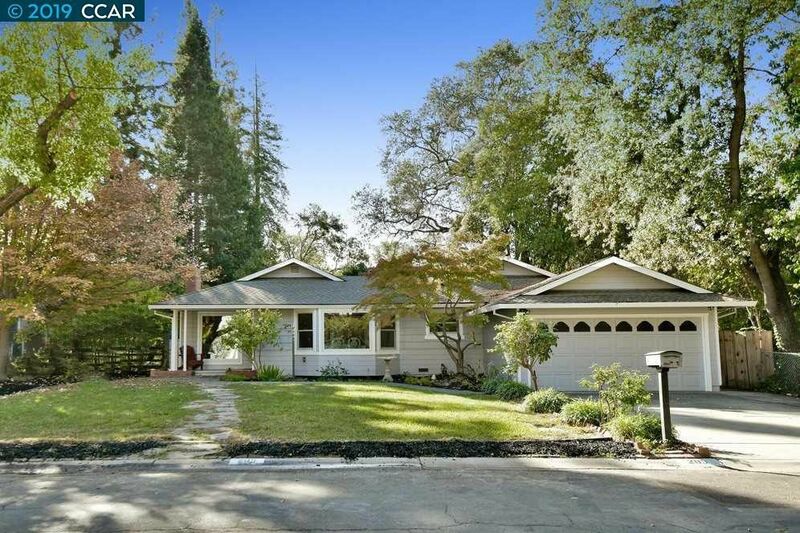 Vaulted ceilings in spacious family/media room offering garden and creek vistas, bordered by soaring Oak trees. 4th bedroom ideal guest room, in-law or home office. Attached garage. Dual-pane windows. Central heat and A/C. Backyard offers a deck to relax on, lawn to play on, and plenty of room for entertaining, gardening or creating your own oasis. Storage shed. Irrigation water from Diablo Vista Water District. Tour 2/12 10:30-1:30 OH 2/17 1-3 Classic sought after Poets Corner home: relisted with $76, 000 price reduction!